It's time again for the children's annual visit to the dentist. 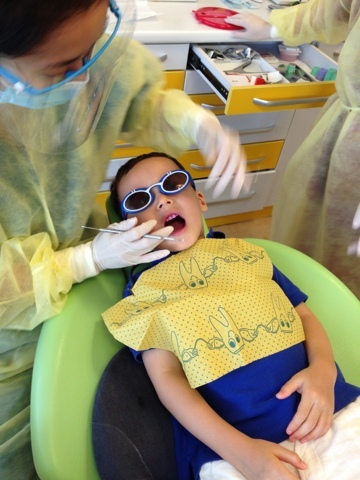 We go to the Kids Dentist at Camden Medical Centre and the two little ones never have any complains or fear of the dentist. 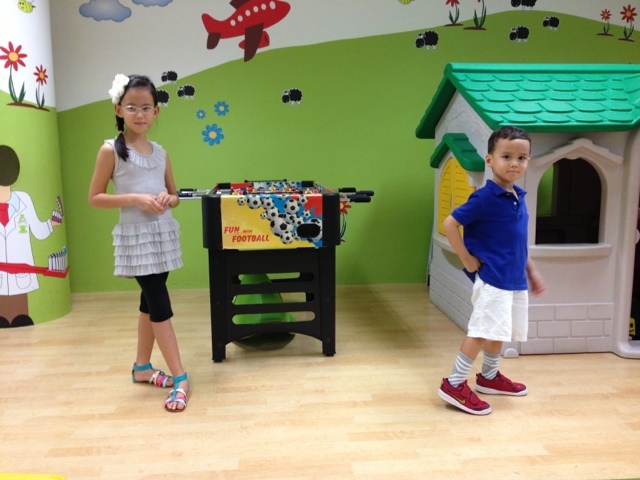 In fact, they both adore their dentist, Dr. Rashid and his team of dental assistants. 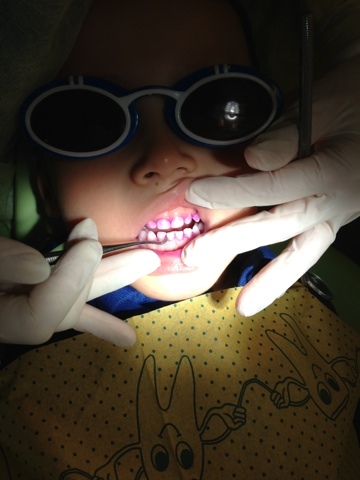 Today, Laetitia was first to have her teeth checked. Well, a number of her adult teeth are out and we learnt about the things to be careful about. 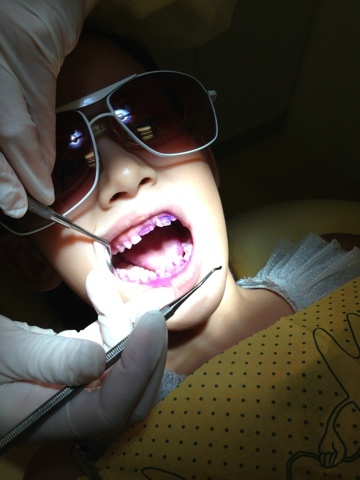 We are also reminded that it is better for an adult to help with the brushing as much as possible. It is also important to make sure that when we brush, we should focus on ensure contact on the tooth to properly remove the plaque. And at the same time, we were also recommended not to use children's tooth paste as there is insufficient fluoride to protect the teeth. 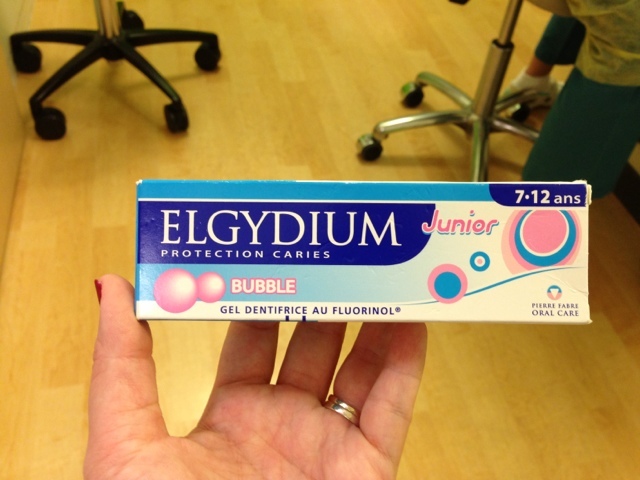 The dentist recommended Elgydium. 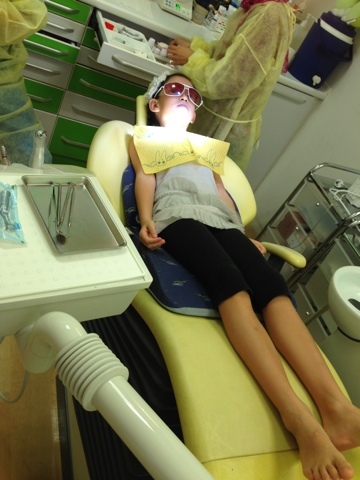 So here's Laetitia getting her teeth cleaned. And now it's Loic's turn. It is his first time going for teeth cleaning! And he was totally well behaved, he did not even move or flinch one but during the cleaning. :) I was told to be careful and check Loic's teeth as his teeth are tight together and there isn't much space between so we are unable to tell if there's any decay there. We would have to floss his teeth regularly as well.